I’ll proclaim my bias right here. I have never been a dietary supplement kind of guy. I’d prefer not to get my nutrition in a pill. Still, it is pretty clear why people would want to opt for the convenience of the supplement. After all, why labor through all of that chewing to get your B vitamins or beta-keratin when you can down it in an easy-to-swallow capsule? 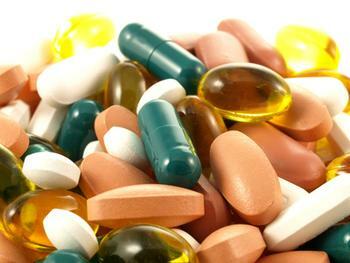 “We are not sure why this is happening at the molecular level but evidence shows that people who take more dietary supplements than needed tend to have a higher risk of developing cancer,” explains Byers, associate director for cancer prevention and control at the CU Cancer Center. Some specific findings of the study showed bad results in the form of increased incidence of cancer from excess vitamin E, folic acid, and beta-keratin. This shouldn’t come as a tremendous surprise to us. God gave us a multitude of nourishing foods, foods that will, if eaten wisely, will provide all of the vitamins and minerals our bodies need and more. What fools we humans are to think we can effectively short-cut that process in the form of a pill. I was never a “Flintstones Kid” when growing up. After reading this study, perhaps I should thank my mother for not jumping onto that bandwagon.